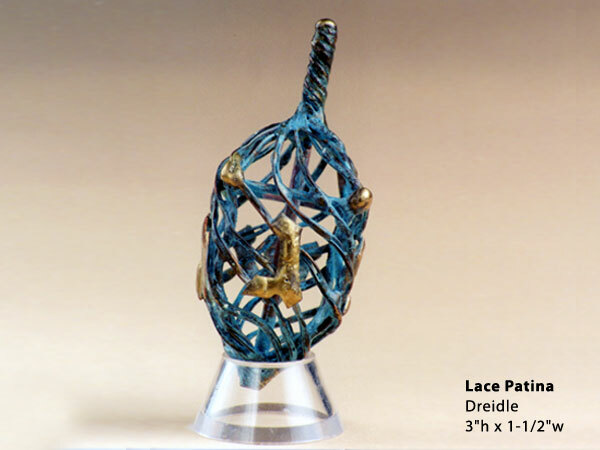 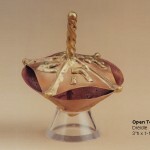 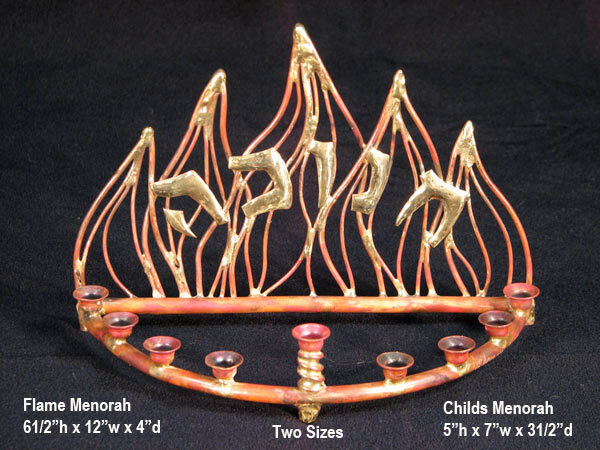 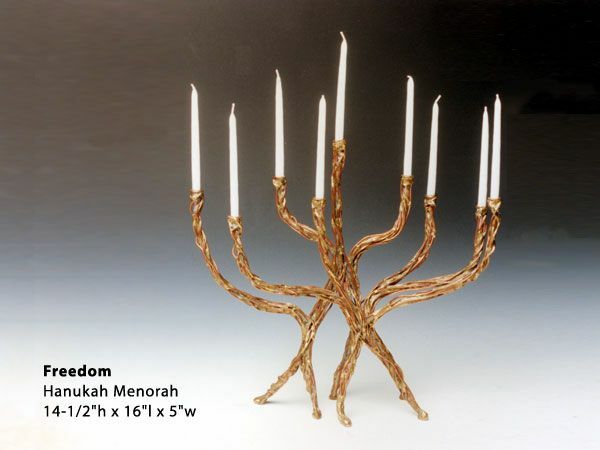 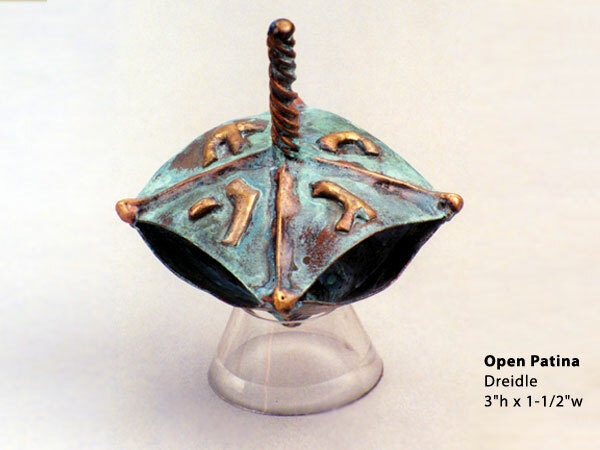 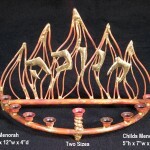 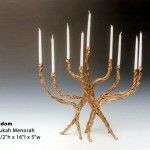 Other Judaic ritual objects I have created are, Chanukah menorahs for the festival of light, Hanukah. 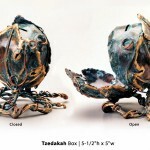 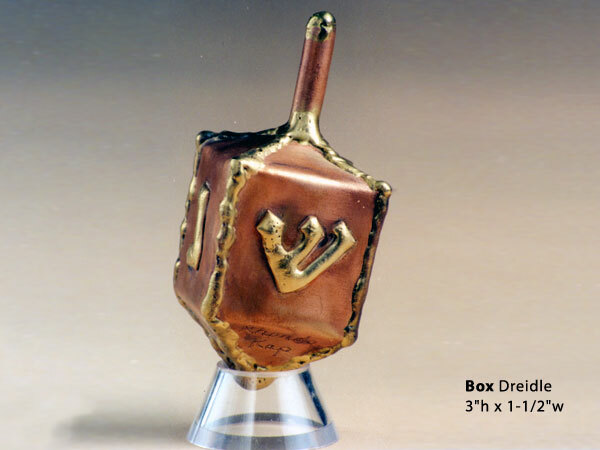 You will also find a beautiful hand crafted Tzedakah box. 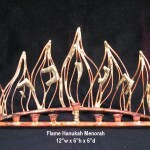 The memorial light, or Yahrzeit give reverence to the one we mourn. 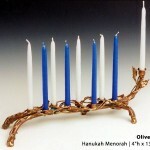 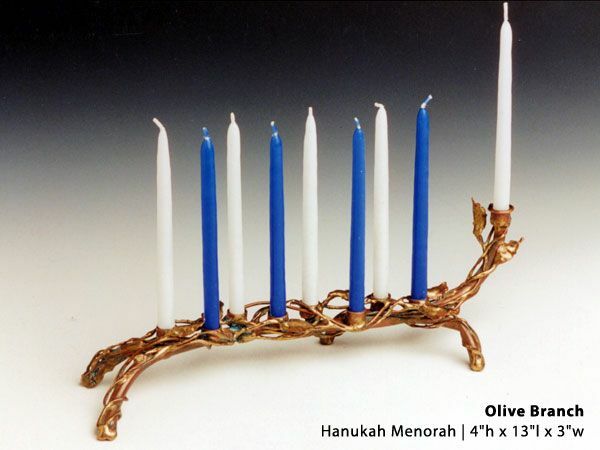 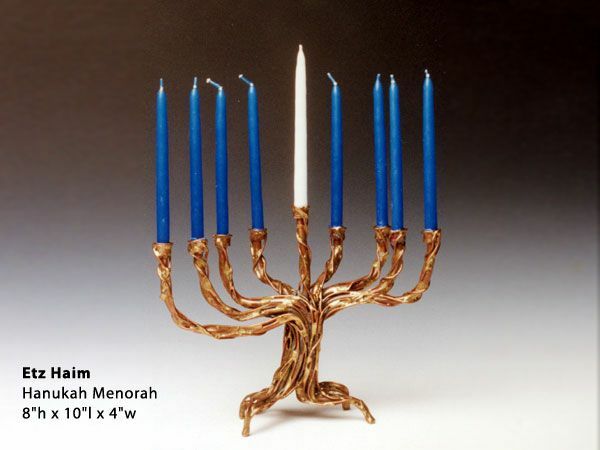 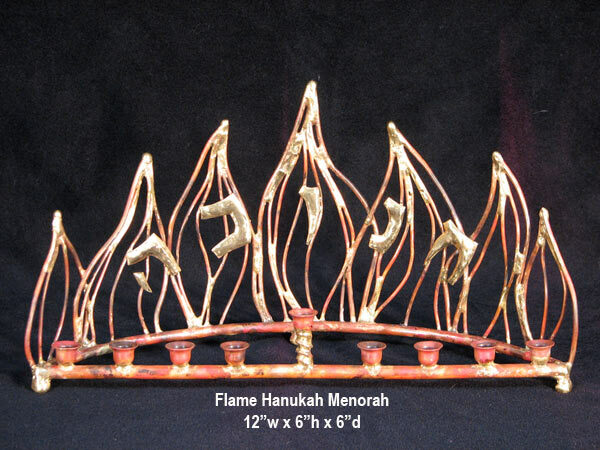 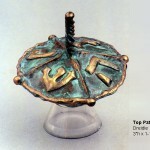 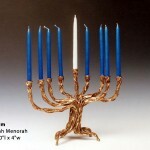 If you are looking for Bronze Hanukkah Items or would like Custom Hanukkah Gifts, contact me today! 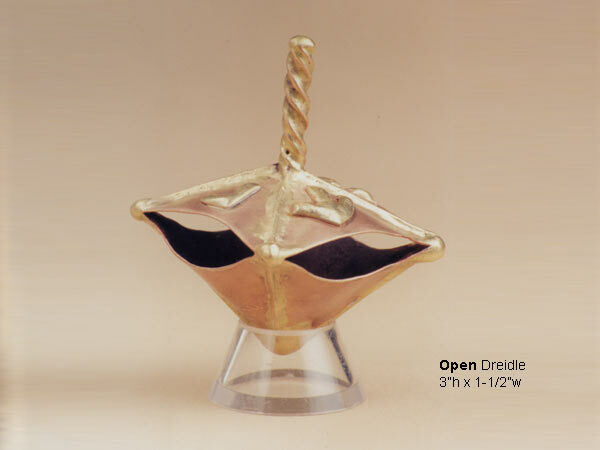 A dreidel is a toy children use a Hanukah. 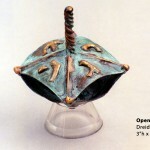 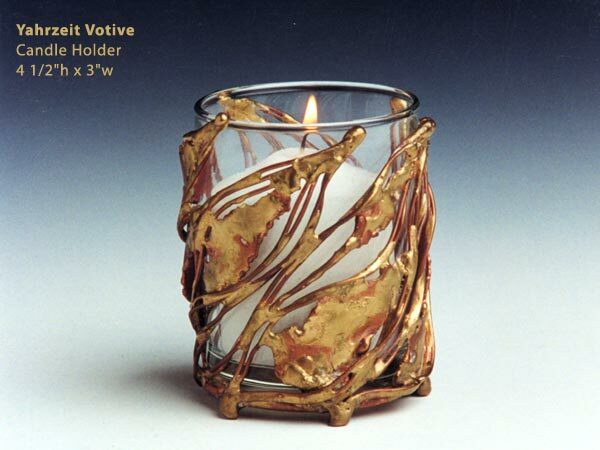 I make mine from welded copper and bronze, they can either be polished or have a patina added. 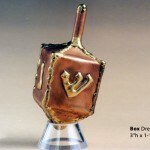 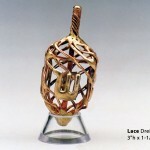 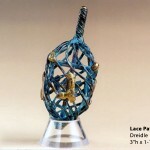 My artisan dreidels have been featured on HGTV. 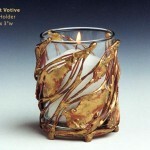 Please take a look an see how I create them. 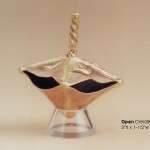 Chanukah would not be complete without one of these beautiful spinning tops to brighten up this Jewish Holiday. 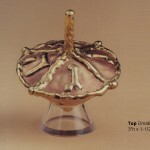 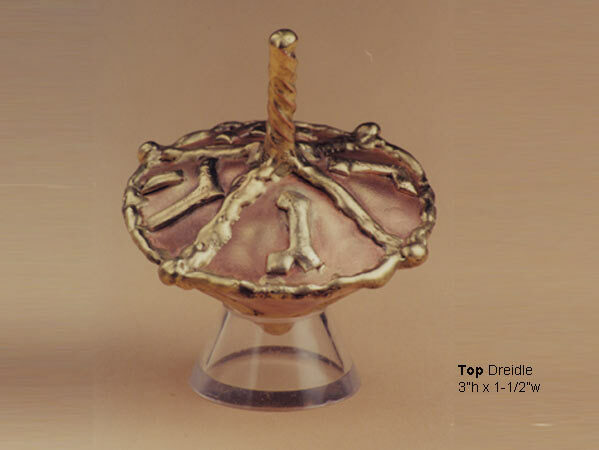 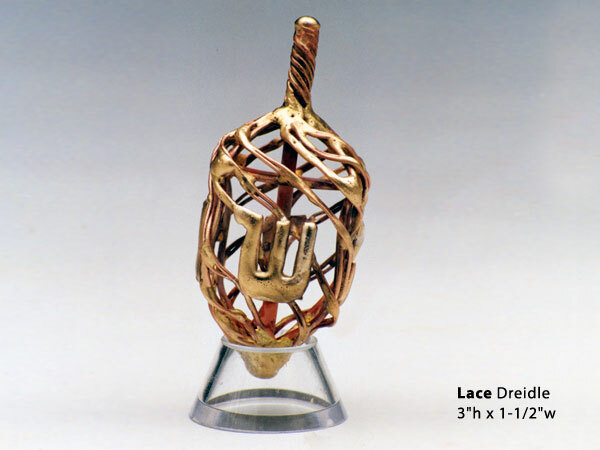 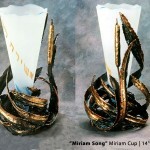 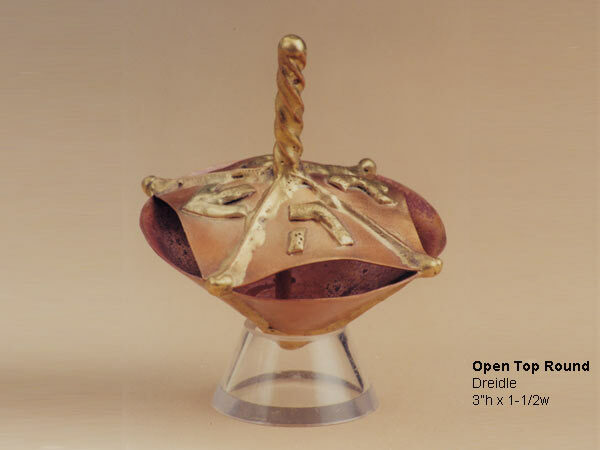 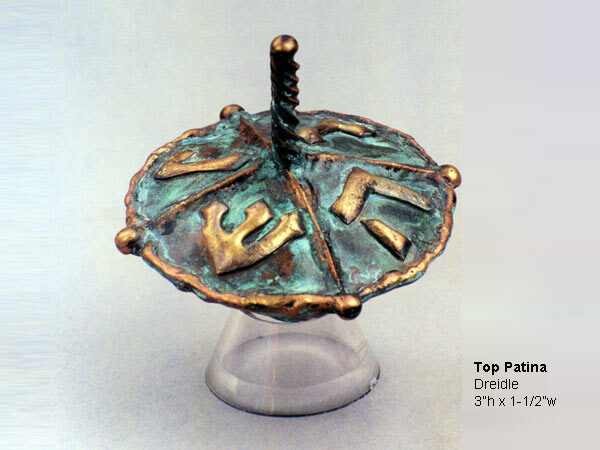 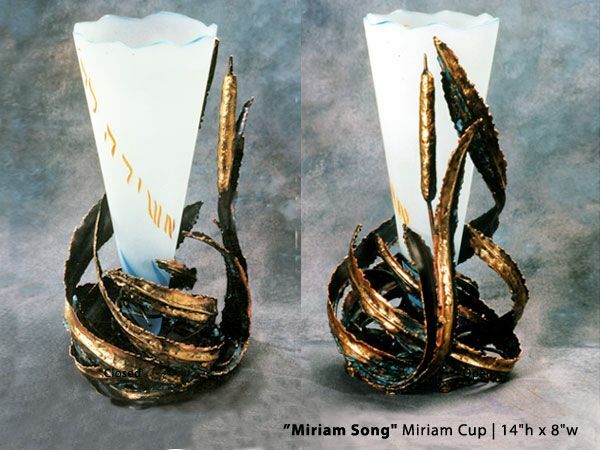 In 1997 Ma’yan the Jewish Women’s Project invited me to be among one hundred women from around the world to design a new ritual object, a Miriam Cup. 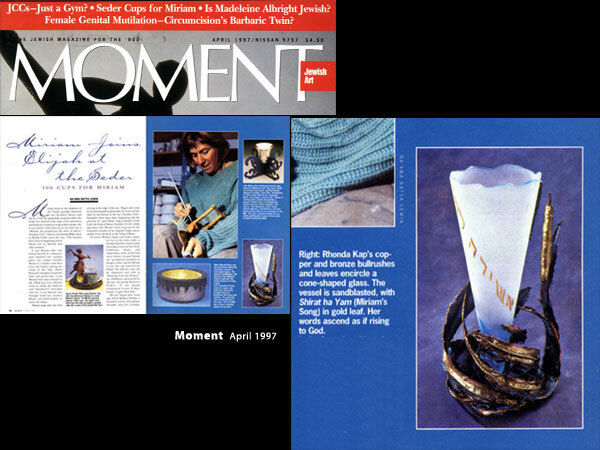 Out of the hundred, ten of them were featured in Moment Magazine, article “Miriam Joins Elijah at the Seder” published out of Washington, DC, and mine was one of them. 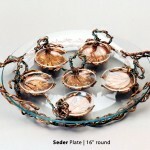 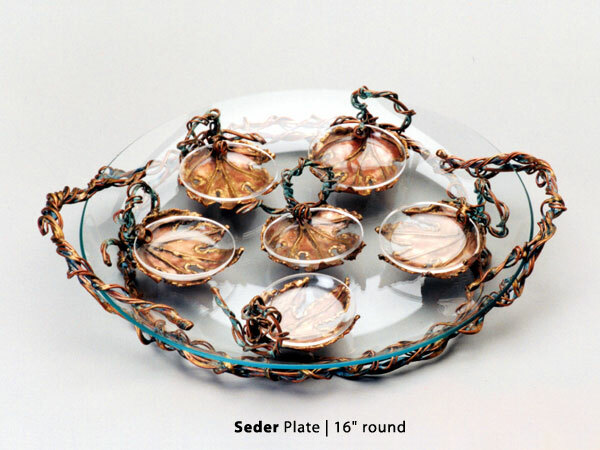 Now my Seder plate, Elijah cup, and Miriam cup grace the Seder table at the Jewish holiday of Passover. 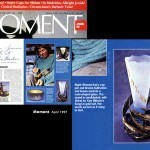 You can see part of the article on the publications page of this web site. 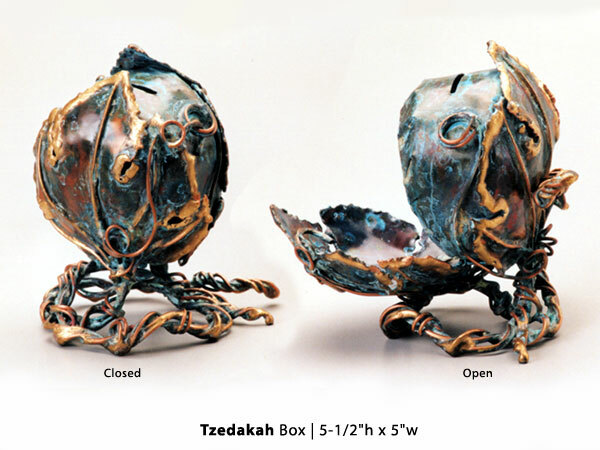 To learn more about publications, commission work, or pieces for sale, email or contact me at 818-706-2373, 30516 Mulholland Hwy, Cornell CA 91301.